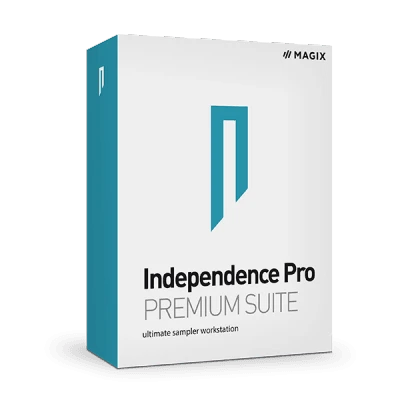 The Independence sampler workstation combines a collection of top-quality sampled instruments with intuitive options for sound design. Independence can be used in three different modes - as a creative tool for music production, effects rack for sound design or host application for live performance. With precise microphones, advanced technology, top session musicians and outstanding instruments, the quality and attention to detail comes through in every sound in the sample library. The section for acoustic instruments such as piano, bass, guitar, drum and percussion stands out with sounds that are unusually authentic for a sampler. The instruments have been carefully recorded in a number of different ways during session recordings. The extensive effect options in Independence provide a whole new range of sounds for acoustic instruments. Thanks to its powerful sampling technology, Independence sets a new benchmark for electronic music, whether you're using analog synthesizers, step sequencers or arpeggiators. - both in the studio and on the stage. Independence is made for live performance - it's suitable for multiple applications and is durable and easy to use. A host application has been specially developed for live use, along with an unlimited number of Independence projects and support for multi-core and standard hardware controllers. Independence Live's flexible audio and MIDI routing allows you to switch between projects in realtime and create custom setups for any live event. Virtual effects rack for even more momentum for your sound. This sampler offers a fantastic virtual effects rack with hundreds of presets, filters and effects. You can also access over 45 powerful inserts, for instance Origami convolution reverb, which uses impulse responses. Use filters and effects separately as effect plugins and arrange them in new sequences - you've total creative freedom. 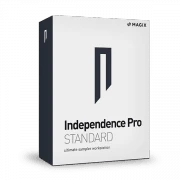 The audio engine in Independence also lets you edit samples with time stretching and pitch shifting and manipulate their sound. Integrating third party plug-ins into the production process is easy using Independence's built-in VST interface.